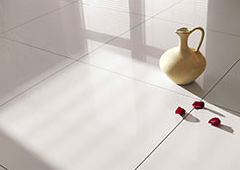 Regular cleaning of tile and grout can't reach into and under porous surfaces where dirt and grime gets trapped. Back-breaking, knuckle-bruising cleaning can't produce the same dramatic results as a cleaning with professional equipment. Once your tile and grout is completely clean, we highly recommend application of an invisible seal or color seal to protect your grout and keep it looking great. Hi-Tech Cleaning Services can provide these services.